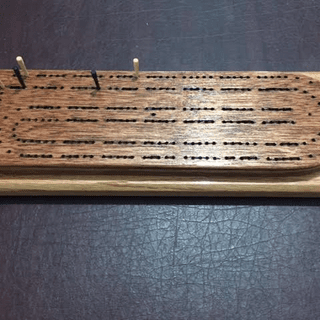 Add the perfect finishing touch to a new cribbage board project, or replace missing pegs on an existing board. These turned cribbage pegs are made from durable hard maple. Pegs are perfectly machined and ready for your next cribbage game! 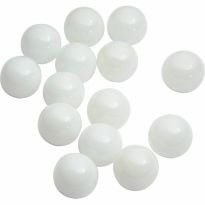 Recommended 1/8" cribbage board hole size. 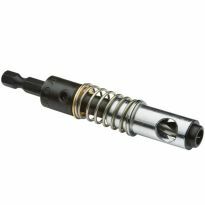 #10 Self-Centering Bit (#69007, sold separately). Fast and easy service. The cribbage pegs exactly match the ones found with the board. Now I need to learn to play! I very nice find for cribbage boards. Christmas will be the real test. Quality product for the money spent ! Thank you . Excellent and very happy that they are wood instead of plastic! 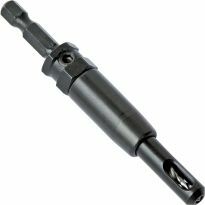 While the pegs are good, you only supply a 7/64th drill and the pegs require a 1/8: hole. I had to go to another vendor to get the correct size self aligning drill. 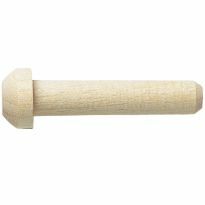 I belong to a large weekly cribbage group and we're always looking for replacement pegs. These are perfect! I like the pegs as they go very well with my home made fish cribbage boards. I do wish that they came in more colors. I like the pegs as they compliment my home made fish cribbage boards very well. I do wish they came in more colors. The cribbage pegs helped get the project finished. They are pre-painted, which really helped. Cribbage Board mahogany and oak. My Wife and i were looking for pegs for our cribbage board. 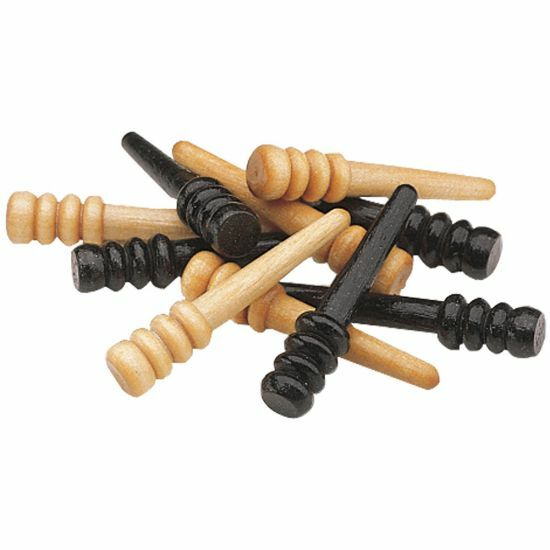 We were going to get plastic pegs until i found these wooden pegs on the internet. We went with the wooden pegs because they looked impressive. We are both very satisfied with them . They look great. Much better than plastic pegs. Good price and came actually one day earlier than promised. I had been making my own pegs and happened to see these. Saves a lot of work and really are a good looking set of pegs. These pegs are for the smaller 1/8 inch holes and will not fit the larger template pattern holes. Many other items will suffice but for true traditionalists, these are perfect. My son wanted a cribbage table, so I purchased several templates, a centering drill, and a bunch of cribbage pegs from Rockler. That project went well, so I will be making lots of cribbage boards. The pegs look good and fit well. I will buy more when I need them. Perfect pegs for cribbage boards. Pegs are very attractive, but do not fit into the holes on my old cribbage board. lliked the pegs . wish you had some metal pegs. like the cribbage templet a lot. One or two of the pegs in each pack are larger than the drilled holes in the cribbage board kit. Pegs were too small to fit in the holes drilled with the Rockler Template. I returned them and purchased the metal pegs which were larger but fit in the 1/8" holes. Return was easy but these should be identified as not appropriate for the Rockler template. Are these pegs for cribbage? While these pegs fit well in the holes created with the standard cribbage board template and bit, the number of pegs is puzzling. In cribbage, each player uses three pegs (one for counting the number of games won). I ordered the 3-player template. I need 9 pegs; 3 each of 3 different colors. Selling 5 each of 2 different colors suggests that the manufacturer intends them for a different board game; not cribbage. I will have to paint 3 of the pegs. I was disappointed with these cribbage pegs. They all are different sizes and some do not fit in the 1/8" hole used for the template. Next time I will spend a little more for a better quality. I needed 3 colors. The pegs are not uniform but are decent quality. The pegs are priced too high for a small business owner/ crafter. I bought them only because I need a set of pegs to sell the boards I make. The pegs are small and can replace your plastic type, but are not offered in a larger size for challenged people with arthritis. The pegs were too thick for the board and each one needed to be sanded down to fit. This defeated the purpose of buying them instead of making our own. Awful. Undersized and warped with a terrible finish. Can't use them. They are not slim enough to fit the holes in the 25 Cribbage board. I have had no luck anywhere. They are all to thick at bottom of the peg. Unfortunately, the pegs were two different sizes due to the thickness of the clear coating on them. For the standard #10 drill holes, the black pegs fit perfectly, but the white pegs had so much finish they sit 20% higher in the same holes. I don't want to make my own pins. I ordered some previously and was very satisfied. Gotta have pegs to play cribbage. A must have in order to play the game...They also look nice. Just started making boards needed pegs !!! These are the same as the ones that came with a handmade board I purchased, and promptly lost a couple of pegs. And I'll use the others to replace the nail pegs for another cribbage board. thanks for these! A good value for many future cribbage boards. using as jewelry box necklace hangars! I make custom cribbage boards. To go with the cribbage board I want to build. 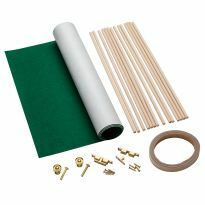 Needed for the boards I plan to make. Good solid product. Excellent price. bought the Rockler Cribbage board Template Jig to make boards for fundraising gifts. To use with the cribbage board I'm making. have a hand crafted wooden cribbage board that my grandfather made thought these wooden pegs would look nice with the board. Sure hope the pegs fit the holes in the board! Got 2 sets before they fit jig set I ordered perfectly!! looked nice and easy to hold. I make custom boards, and have no way of making pegs. Received Black Friday flyer and liked the looks of this item. I'm making a cribbage board for my daughter. used them before and like them. Needed a peg quality between plastic and metal. Our old boards were missing pegs and we have been using matchsticks-burned and unburned. These will be much safer! I am making a cribbage table and needed pegs for it. 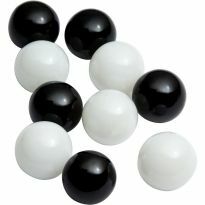 Are black and natural the only colors? BEST ANSWER: Only colors I have found available are what is shown. Because they are wood you could always paint, use stripper to go to a clear base to then restain, etc. Yep! At the stores I've visited, black and natural are the only colors. 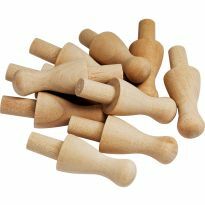 For these wooden pegs - yes. There are 1/4" brass at a different price. How deep should the holes be with the #10 self centering bit? I've made many cribbage boards. 1/4" works the best for me.